Ashley Buderus named CEO of Quarterly Forum. Image courtesy of the Denver Business Journal. 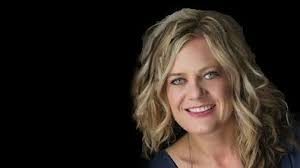 Ashley Buderus, a former director with the Children’s Hospital Colorado Foundation, has been appointed CEO of Quarterly Forum. Buderus has an extensive background in non-profit organizations in Colorado in addition to the Children’s Hospital Foundation, including the El Pomar Foundation and the University of Denver. The Quarterly Forum is a nonprofit organization that strives to connect, educate and inspire Colorado’s emerging business leaders. The Forum also supports the state’s future through scholarship programs, including the Scott Reiman Emerging Leader Scholarship, funded by Scott Reiman, a forum member, to provide scholarship funds to an outstanding University of Denver student. Read more about the Forum and Buderus in her new role as CEO in the Denver Business Journal. DU students create ride-sharing app, Wanderlift. When DU students Meredith Gee and Sam Schooler needed a ride to the mountains but didn’t have one, they had an idea to create a mobile app that would get them there – Wanderlift. For the last nine months, the two sophomores developed their idea and expanded their team. Juniors Daniel Farrell and Lucio Franco joined the team last fall and helped launch the app and expand the group’s efforts to the University of Colorado in Boulder. Whether it’s a hike at Red Rocks, a ski trip to Vail or a ride out with friends, people who need a ride to their next adventure can now use Wanderlift to get there. They can also sign up to drive, post their own trips or search for someone looking to catch a ride. Many students say it’s more affordable than other ride-sharing apps such as Lyft and Uber. In the future, the students told 7News they hope Wanderlift helps with traffic in lessening the hourslong commute typical with heading to the hills. The Wanderlift is available in downtown Denver, University of Denver and the University of Colorado. Find the app on the Wanderlift website and the Apple store. Soon, it will be available for Android phones. The students credit the University for bringing them together. They all met through the schools’ living and learning communities and are involved in the Center for Sustainability and entrepreneurship club through the Daniels College of Business. As the namesake of the Reiman School of Finance in the Daniels College of Business, Scott Reiman is a longtime member of the University community and dedicated to advancing the academic and leadership success of its students. He makes contributions to the schools’ growth and prosperity where students like Gee, Schooler, Farrell and Franco come up with their great ideas.